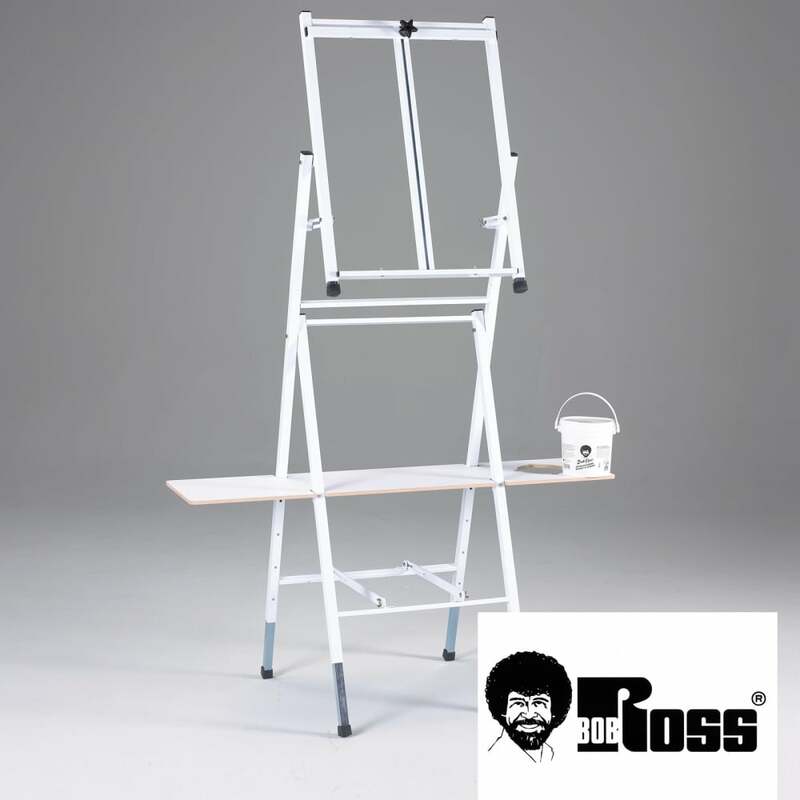 This high quality all steel construction easel is light weight and ergonomically designed a great addition for all Bob Ross fans. You can remove the base of the easel to make into a table top style great for art work shops and for those how have limited space in the classroom or home. It comes complete with art shelf for holding your accessories making it easy when painting,holds up to 24" canvas with easy height and angle adjustments.